Japan has a world-renowned healthcare system, testified to by the country’s average life expectancy (84 as of 2013) – the highest in the world. Medical facilities are generally clean and modern with helpful staff. There are relatively few GPs and family doctors – rather, most doctors are specialists in a particular field of medicine. The most common specializations include otolaryngology (ear, nose and throat), internal medicine and dermatology. When you are sick or injured it is necessary to choose a facility that specializes in the right area of medicine for your condition. 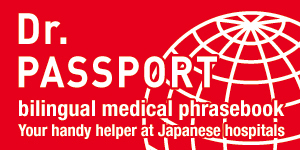 The pages in this category have information that will help you navigate the Japanese healthcare system. The first challenge facing anyone seeking medical attention in Japan is finding the right facility. Read about the differences between clinics and hospitals, and why you should choose a clinic for non-emergency cases, on this page. Japan’s Public Health Insurance system ensures that residents will never have to pay more than 30% of the cost of most medical treatment. Find out more about payment procedures and health insurance on this page. When you are unwell, it is important to seek help from the appropriate facility, be it a hospital, a clinic or a simple drugstore. 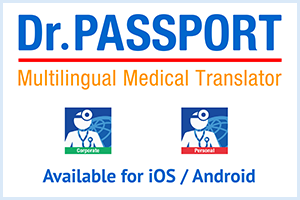 This page will take you step by step through the procedures involved in getting medical assistance in Japan. If you are bringing children to Japan, or have a child here, it is vitally important to ensure they receive the recommended vaccinations. Get more information about vaccinations available in Japan and the childhood vaccination schedule on this page. Japan has four very distinct seasons, with a cold, dry winter and a hot, humid summer. Certain medical conditions are especially prevalent during particular seasons. Read this guide to help prepare yourself for seasonal afflictions. Pregnant women must register their pregnancy at the local municipal office. They will receive a handbook Boshi-Techo (“母子手帳”, maternity health record book) and Haha-to-Ko-no-Kenko Bag (“母と子の健康バッグ”, health bag for mother and child), filled with all the important detailed information and forms necessary for having a baby in Japan.